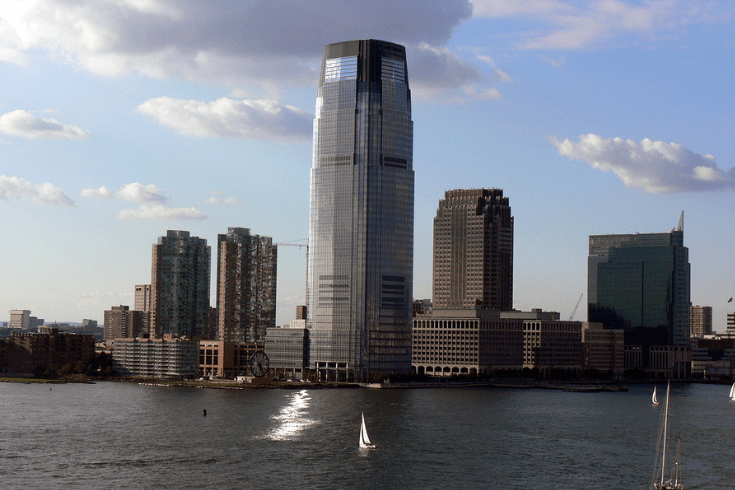 TOP RANKING BEST BANKS IN NEW JERSEY, U.S. In today’s economic environment, consumers are often reluctant to do business with many banks. This becomes increasingly true as fees are raised higher on even basic services. Fortunately, consumers can do something to avoid these charges and find a New Jersey bank that brings value to their life. Much of this relies on doing thorough research to find the best bank in New Jersey for your needs and treating the choice of selecting a New Jersey bank or even individual accounts as you would any other consumer decision. For example, if you were going to make a significant purchase, you would likely read reviews and shop around before finalizing anything. The same should be done in your search for the best bank in New Jersey. 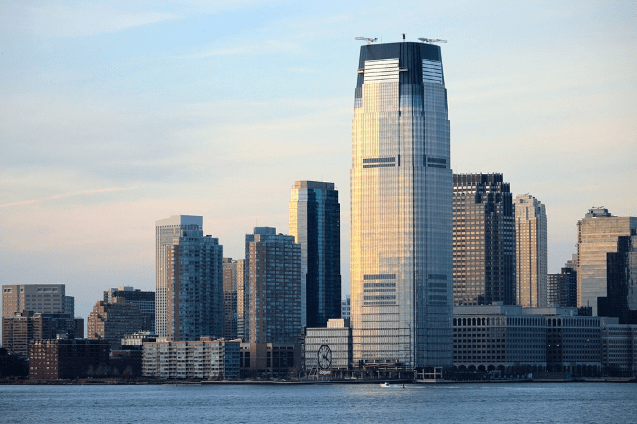 If you’re considering banking with a New Jersey bank and want to know which are the best New Jersey banks, take a look at our list of banks in New Jersey. Each firm on our list of banks in New Jersey goes above and beyond to provide exceptional banking services to their members, including checking accounts, savings accounts, investment options, and more. When you identify the top banks in New Jersey, you’ll discover that you are able to often save money regarding the fees you’re paying, your money will become more accessible, and great customer service will make you feel confident in your financial status. A great New Jersey bank is also going to utilize only the most rigorous security standards, so your money will be much more secure than it would if you were simply relying on cash. Additionally, once you’ve identified the best bank in New Jersey for your unique needs, you can start earning money by working with that institution. Many of the leading New Jersey banks offer rewards programs, cash back offers, and competitive interest rates on savings accounts, so rather than feeling as if you’re paying extreme fees, you’ll actually be earning for your business and loyalty. What Do You Need to Open a Bank Account with Banks in NJ? If you’re opening a new bank account or opening your first bank account with one of the best banks in NJ, you may be wondering what documentation and information you will need. It’s best to be prepared before you visit a new bank in New Jersey, so that you can save time and effort and make the process as seamless as possible. Most banks in NJ are going to require that you have some type of government-issued ID. This can include a driver’s license or a passport. If you don’t have either of these forms of ID, you can visit the Department of Motor Vehicles to obtain an official ID card. You’re going to have to fill out an application and probably some other forms as well, so you’ll need things like your Social Security number, address, date of birth, and a few other details. If you’re opening a new account, most NJ banks are going to require that you have money to deposit as an initial opening amount. Many banks have guidelines as to how much money you must initially deposit to open a particular account, so call the bank or check its website before heading in. You can usually use cash or checks at most branches to open an account, or you can transfer money from an account you already have with that bank. You can also use a money order if necessary. If you’re attempting to open a joint account with a NJ bank, you will also need to have the other account holder present, but if you’re applying for an online account or your bank has an online application, you may be able to get by with just submitting the other individual’s personal information. It’s important to realize that even basic banking products, such as checking accounts, may require a credit check. If you’ve had past problems with your credit or another checking account, let the bank know – it may have a second chance account option that would be a good fit for you. How Do You Switch Banks? There are numerous reasons you might opt to switch to a different New Jersey bank. Perhaps the fees have become too high, you’ve moved to New Jersey, or changed jobs and your old bank is no longer convenient or maybe you found a great offer at one of the banks in NJ. Regardless of the reason, it can be a bit overwhelming to move all of your financial accounts to a bank in NJ, particularly when you have things like direct deposits and automatic bill payments already set up with your existing account. If you have a direct deposit set up with your account, you should inform your employer, or the person who sends it, that you’re changing banks, including the government if it’s something like a Social Security check. Give the New Jersey bank your new account information as soon as possible to avoid a missed deposit. When account holders have automatic bill payments and drafts set up, they should be canceled as early as possible and added to your new account. It’s important to take care of this promptly so that you’re not left paying late fees for missed payments. If possible, use your new bank’s online bill pay option to set up your bills to be automatically drafted from your new account. Take advantage of features like text alerts that inform you when a bill will be coming out, and if it’s not set up to automatically draft out, make sure you create reminders so you don’t miss those payments. When it’s time to close your previous account completely, it can often be best to visit the bank in person. You will want to make sure that your account is fully closed and that you don’t owe your old bank any fees. If you don’t do this, you may find that, down the road, you have a record in ChexSystems. Make sure all checks you’ve written have cleared before removing the rest of your money by going over your account records thoroughly. Finally, get rid of all of your old account checks and associated cards so there’s no risk of people trying to steal your identity. ​What the Differences Between Online & Traditional NJ Banks? One of the biggest questions many consumers have with regard to banking in today’s environment is whether or not they should switch over to an online bank or stick with a traditional brick-and-mortar option. There really isn’t a right answer, although this iist of banks in New Jersey and ranking of New Jersey banks focuses on financial institutions with physical locations throughout the state. Online banks tend to have lower fees and more free account options, but it’s also imperative to consider the level of customer service you want or need when it comes to banking. If you have a problem or even a question, you may feel more comfortable being able to visit a branch and speak with someone, particularly if you have a personal relationship with one or more of the employees at your bank. Many brick-and-mortar banks in NJ offer robust online and mobile services as well, so you can get many of the benefits of an online bank without losing that personal touch that comes with being able to work with someone face-to-face. 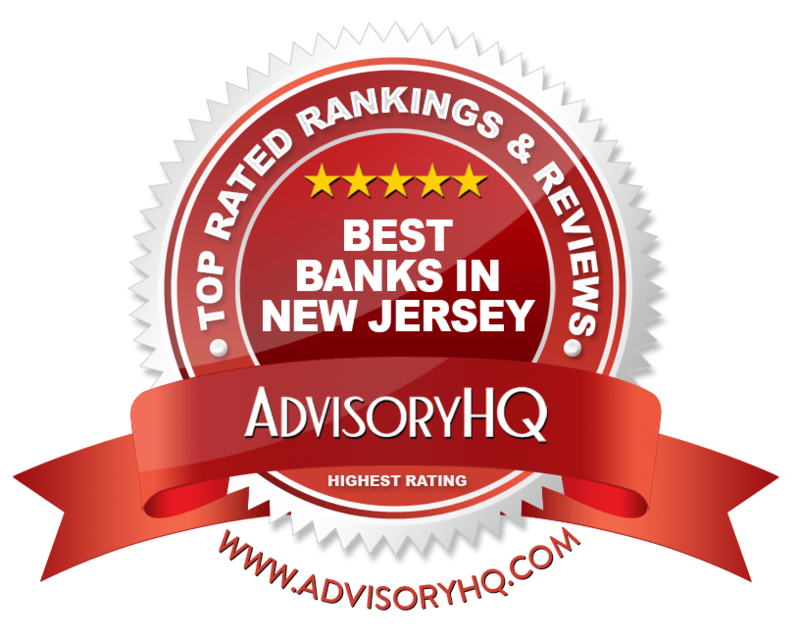 Below, please find a detailed review of each bank on our list of best New Jersey banks. We have highlighted some of the factors that allowed these banks in New Jersey to score so high in our selection ranking. See Also: Best Banks to Bank With | Review | Best Banks in America for Businesses, Students, Online Banking, Free Checking, etc. Fulton Bank of New Jersey was formed after the merger of two large New Jersey banks in 2011: Skylands Community Bank and The Bank. Fulton Bank of New Jersey is now based in Mount Laurel, NJ. As part of Fulton Financial Corporation, this NJ bank is part of a $17 billion commercial financial institution. Fulton Bank strives to create the feeling of a true community bank, which includes personalized service and localized decision-making. Personal banking services offered by this New Jersey bank range from basic checking and savings accounts to credit cards, health savings accounts, and retirement accounts. Highlighted below are key reasons Fulton Bank was chosen as one of the top NJ banks. When you open an account at Fulton, you’re eligible to receive a Relationship Rewards Visa® Debit Card. Enrollment is automatic if you have a checking account and a Relationship Rewards Visa Chip Debit Card. You can use your card wherever Visa Debit cards are accepted, and everything works the way a standard debit card does, but you also receive Relationships Rewards for everything you’re spending money on. You earn 1 point for every $4 spent when you select credit and do a signature-based transaction. This top New Jersey bank allows members to redeem their rewards for cash back, which is directly deposited into a checking account. Prime Life Banking includes Prime Life Interest Checking, which is a specifically tailored, interest-bearing checking account for customers who are at least 50 years old. This leader among banks in NJ offers several different overdraft solutions for customers so they can manage their accounts in the way that works best for their needs. The first option is the Deposit Account Transfer Overdraft Protection Plan, which requires no fee until it’s used. You link another account to your checking account, and available funds from linked accounts are then used to cover overdraft items as well as the sweep transfer fee that’s charged with the use of this option. The OptionLine Overdraft Protection Plan links your checking to your OptionLine account, and there’s no fee until it’s used. Customers can also take advantage of plans including Overdraft Elect Partial Coverage, Overdraft Elect All-Out Election, and the Overdraft Elect All-In Election Plan. Each of these varies based on whether or not transactions will be approved, which determines how much in fees a customer will have to pay because of an overdraft. For Fulton customers who want to manage most or all of their banking and financial accounts under one roof, there is the option to open IRAs. Both traditional IRAs and Roth IRAs are available, as well as spousal IRAs. Other investment and retirement options available to Fulton customers include the Coverdell Education Savings Account, a Fixed Rate IRA CD, and an IRA Money Market account. With more than $20 billion in assets and 140 branches across both New Jersey and New York, Investors Bank is one of the area’s leading financial institutions. Along with being one of the top banks in Elizabeth, NJ and throughout the state, Investors Bank also offers a full range of products and services, including personal banking, business banking, and commercial options. Investors Bank differentiates itself among other banks in NJ by providing locally-based management and personal attention to the products, rates, and services that are competitive with most of the largest institutions. Below are details of why Investors Bank was included in this ranking of the leading banks in Elizabeth, NJ and throughout the entire state. Investors is one of the banks in NJ that offers several different checking account options, and one of the most popular is the YourStyle Checking account, which offers flexibility and basic features along with convenience. The minimum to open this account is only $50, and to avoid the monthly service fee, customers only have to have an average monthly balance of $1,000 or a monthly recurring direct deposit of at least $500. The fee can also be waived if the account holders have 10 or more POS transactions per statement cycle using their Visa Debit Card. Free features that come with this account include IDProtect and online banking with Bill Pay and e-Statements. Preferred Banking is an exclusive program offering from Investors Bank that offers members rewards points, free services, and higher interest rates on deposits. Participants open a Preferred Checking account with interest and link it to a qualifying savings account, and they then receive a free VISA Preferred Debit Card if they meet a certain combined balance total. Benefits include complimentary services such as free checks, free money orders, eligibility for Visa Preferred Benefits, free notary service, and discounted safe-deposit box access. Members of Preferred Banking can also receive exclusive Preferred loan rates and deposit rates. Investors offers access to free online banking and bill pay. Participants can log onto the online banking service and find account information from anywhere. They can see account details and history, check balances, view cleared checks, and see maturity dates for their CDs at Investors. Online banking with this best New Jersey bank also includes the ability to transfer funds internally and externally, and use POP Money to send money to friends and family members. Users can download financial information into many of the most popular financial management software platforms for their record keeping, receive e-Statements, and pay their bills online. Many consumers search for banks in New Jersey that will provide the opportunity to do their basic daily banking such as checking at the same place they have their home loan. Investors Bank is a great option to consolidate all of your banking with one institution. It offers both home equity loans as well as mortgages. Investors also offers a variety of resources and guides to help people whether they’re buying a home, refinancing, want a fixed rate or adjustable-rate loan or need specialty programs and services. There are also lending options for consumers planning to buy a second or vacation home. Lakeland Bank is one of the most reputable banks in New Jersey and is part of Lakeland Bancorp, which has $5.1 billion in assets. Lakeland has 53 New Jersey branches in counties including Passaic, Sussex, and Union. Lakeland Bank features not only personal, consumer banking products and services but also lending options and commercial banking. The central tenants that Lakeland are based on include financial strength, efficiency, profitability and the provision of quality service, all with a focus on innovation and the future. The list below represents some of the features and offerings of Lakeland Bank that led to its inclusion on this ranking of top NJ banks. The premier checking account option available from this contender of the best bank in New Jersey is Elite Checking. Elite Checking is packed with features and special offers. It includes ID theft Monitoring and an ID ProtectALL Package, which includes $5,000 in personal identity protection, card payment protection, and restoration and recovery services. This account also includes cell phone protection and roadside assistance as well as travel accidental death insurance. Account holders are enrolled to participate in BaZing as well, which is a benefits package that includes discounts at more than 300,000 local and national merchants. Platinum Checking is an interest-bearing account that also offers premium features, and the perks of the Elite account can be added for only $3 a month. This checking package also includes the ID ProtectALL Package, and only a $50 minimum deposit is required at opening. If there is a combined monthly $10,000 average daily balance in deposit or loans at Lakeland, the monthly service charge is waived. Platinum account holders receive rate discounts on personal, home equity, and auto loans when they make an automatic payment from this checking account, and they receive special rates on certain new CDs with terms that are at least six months. Also available to customers of Lakeland, one of the top New Jersey banks, are financial planning services. In terms of personal financial planning, a team of expert advisors can work with clients to gain a comprehensive understanding of their needs as well as their risk tolerance. They can then develop in-depth outlines for retirement planning, 401(k) and IRA rollover options, general investment management, insurance, and estate planning. The Lakeland financial planners can not only create initial plans and guidance but also work with clients over the long term to make adjustments as needed and as the client’s financial requirements change over time. For consumers searching for a value-creating savings option, there is the Platinum Tiered Money Market Account. This account requires only a $1,000 minimum deposit to open, and it includes a variable interest rate that rises as your accumulated amount goes up. There is only a $1 minimum balance required to earn interest, and there is no monthly service charge on this money market account if your average daily balance is $2,500. This account also features free access to online banking, bill pay, and e-Statements. Popular Article: Banks in Pennsylvania | Ranking | Best Banks in Pennsylvania, Philadelphia, Pittsburgh, etc. Provident Bank has a history that spans more than 175 years, and it’s known as one of the top banks in NJ, serving the needs of individuals, businesses, and the local communities it serves. Provident Bank is one of the number one banks in the Paterson, NJ area as well as a leader among banks in Jersey City, NJ. Services at Provident are divided into four main categories, which include Personal, Business, Wealth Management, and Digital Banking service. More specifically, personal services include the availability of checking and savings accounts, home loans, IRAs and retirement accounts, credit cards, gift cards, and student loan options. Key reasons Provident was selected for this ranking of excellent New Jersey banks are cited below. Provident4Women is a unique program tailored to the needs of women. This program offers insights from women and for women, regarding not just investments and financial goals but also about family life, careers, and business. This program can give women valuable information and financial tips from professionals and peers with unique perspectives, and this insight can then be used by women to make stronger decisions. Work/Life Balance. Is It Achievable? Provident is a different kind of NJ bank because the focus is on helping customers find the products and services that are best-suited to their needs, based on the specific stage of life they’re in. College Years: Products geared toward this period of life include student loans, the Provident MyTunes Checking account, and the Statement Savings account. Career Focused: During this phase, some of the primary featured products include the Statement Savings Account, IRAs, and the Holiday Club Savings Account. Building a Foundation: Products featured for this period of the life cycle include mortgages, life insurance, the Young Saver account, and the 529 College Savings plan. Growing and Expanding: Falling into this category are the Provident Platinum Checking and Money Manager account, home equity lines of credit and refinancing options, CDs, and investment management products and services. Retirement: Accounts featured for clients in this phase of their life include Provident Smart Checking and Gengold. Provident Cash Back Checking is an account that provides the customer with cash back on the total amount of eligible signature-based POS transactions they make, and it’s credited on a monthly basis. There is no limit on the amount of cash back you can receive with this account. To be eligible, account holders have to conduct 10 signature-based POS transactions with their Provident Debit MasterCard, have one direct deposit or one automatic ACH debit, and utilize free ProvidentConnect online banking. This account also has no monthly minimum balance requirements and no monthly service fees. The above requirements are only for account holders that want to earn cash back rewards. Provident’s Platinum Money Manager℠ is a way to maximize saving money with a high-interest account. It includes complete money management when you have a linked Provident Platinum Checking account, and you receive a free monthly combined statement. Higher balances will earn higher yields, and there are no withdrawal penalties. Additionally, with the Platinum Money Manager, there is no limit on balance transfers. In order to open this valuable account, customers are required to have or open a Provident Platinum Checking account, and the minimum deposit is only $50. The minimum balance requirement to earn interest is $5,000 in combined daily balances. When compiling this list of the best banks in NJ, there were quite a few factors that weighed heavily into the ranking process. One of the biggest ones was the fees charged by each bank and whether or not there are ways for consumers to have those fees waived or take advantage of entirely free accounts. We also considered location, accessibility, and convenience and included banks in Newark, NJ; banks in Paterson, NJ; banks in Jersey City, NJ; and financial institutions that serve the needs of customers statewide. Also important was the quality of available accounts and whether or not each NJ bank offers things like online and mobile banking. Each of the names on the above list of New Jersey banks excels in these criteria areas and many others. These NJ banks are known for their excellent customer service, dedication to remaining innovative, and uniquely localized approach to serving the diverse financial needs and requirements of their New Jersey customers.